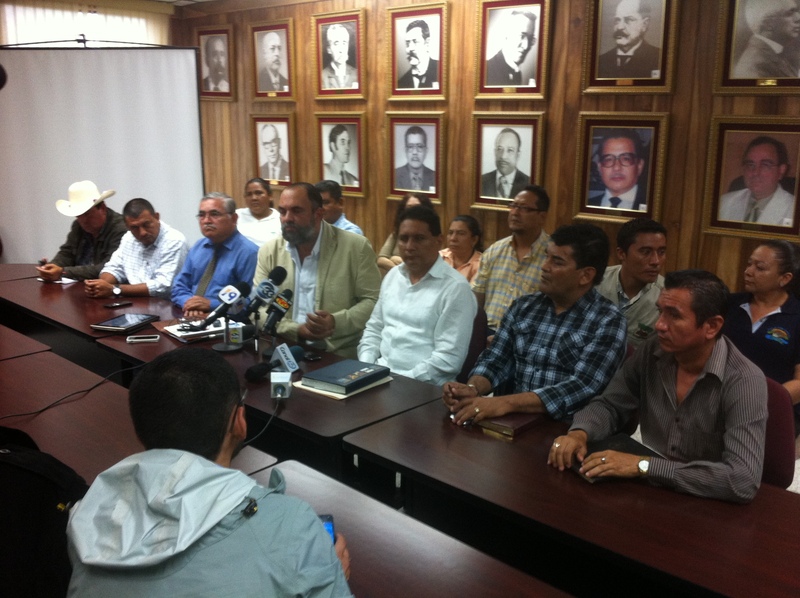 On Thursday, September 5, the National Assembly of El Salvador banned the use of 53 agrochemicals in El Salvador. Earlier this morning, the Permanent Coordinating Body of the Lower Lempa (MESPABAL) and the Movement for the Defense of Life and Natural Resources (el Movimiento for short) convened a press conference, featuring three municipalities (Jiquilisco, Tecoluca, and Zacatecoluca) and multiple community organizations including the Mangrove Association, the local watershed coalition (ECADERT), CORDES, and EcoViva. They met at the University of El Salvador to share their support for the national ban. The mayor’s office of Jiquilisco and el Movimiento have approved local ordinances that restrict pesticide use. They are leading the way in pesticide regulation, providing a model to be followed by the rest of the coastal zone which the new national legislation enables. The article translated below originally appeared in Diario Co Latino in Spanish. Recently, the National Assembly of El Salvador approved a decree that prohibits the sale of 53 agrochemicals used in the crops [in El Salvador]. The decree aims to lower the number of fatalities from the unregulated sale and use of the pesticides. 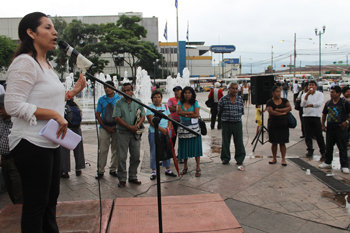 During the usual “Legislative Tribunal”, the Representative from the FMLN, Estela Hernández, member of the Environmental Commission, explained to the crowd that the decree prohibits the import of 53 agrochemicals that have been used for many years for different agriculture activities in the country. “Many of these products have been found in the people who are suffering from kidney failure. For us it is important that we use this law to lower the presence of these toxic chemicals that have been used for decades in our country,” affirmed Hernández. The Representative explained that the goal is to expel 100% of these products from the market over the next two years, during which time alternatives to these products will be investigated. During the discussion for the approval of the decree, representatives from the right expressed that these products are necessary to combat coffee blight and other pests that gravely affect crops. Similarly, the right affirmed that prohibiting these products will affect the small farmers the most, an argument that the Representative explained to be false. “That is a contradiction because the farmers are the group that will benefit the most. They are the first group that is exposed [to the pesticides] and they risk their lives using these products without any protection, without any information,” assured Hernández. Similarly, the Representative explained that the importers of pesticides and fertilizers “should ensure that the product contains a manual or instructions in Spanish.” The distributors should explain to the farmers the correct usage of the products and the methods of protection that should be used. The Representative considers that the people most affected by the ban are the business people that dedicate themselves to importing these chemicals, “[the businesses] that have been profiting without care for the affect generated on the whole country,” she argued. In the same way, the Representative from the FMLN explained that one of the objectives of the decree is to make a gradual transition away from these highly toxic chemicals to less harmful products, primarily for the farmer. Other aspects driving the approval of the decree is guaranteeing that the population consumes products that do not contain such strong contaminants. Among these products whose import has been prohibited are Paraquat, methamidophos, Latigo, Aldicarb, DDT. Ethyl Paraton, Toxaphene, Sodium Fluoroacetate, and many others.